She’s a Promoter Gina avidly promotes her gigs and music through Facebook, Twitter, YouTube, SoundCloud, her website, and a newsletter. She’s an Award-winner Emerging Songwriter Winner – Napa Valley Music Festival; People’s Choice Winner Folk – Offbeat Magazine, New Orleans; Best Singer/Songwriter – Offbeat Magazine, New Orleans; New Folk Finalist – Rocky Mountain Folks Festival; Emerging Artist – Falcon Ridge Folk Festival (2015). 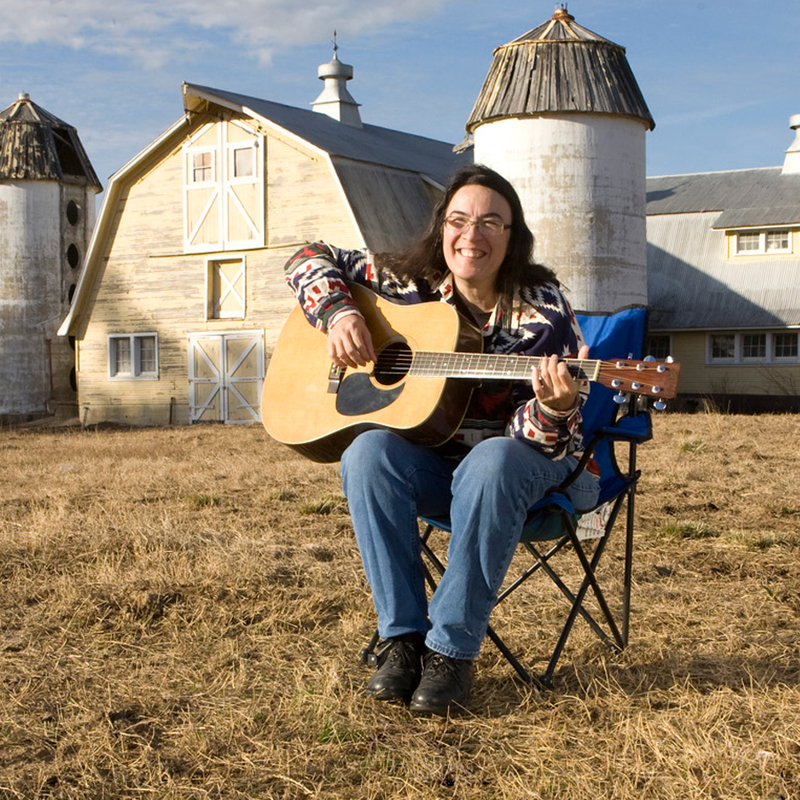 On Gina’s 2012 CD, Promised Land (Waterbug), the title song reached #1 on the Folk DJ list in January 2012 and the CD ended the month at #3. It also made the final voting round of 50 by the Recording Academy to determine the nominees for “Best Folk Album” for the 55th Annual Grammy Awards. Born in Florida and raised in Alabama, Gina grew up on hymns, country songs, and old time fiddle tunes. In the mid-1980s, she moved to New Orleans to study classical and jazz violin at Loyola University and quickly developed an irrevocable passion for Cajun music. Over the last 20 years, Gina has evolved into one of the most respected folk artists in America. In 2001, cult folk label Waterbug released her debut CD, You Are Here, which was quickly heralded as “…an eclectic, beautifully played testament to choosing the right personnel and crafting a great song.” (Daily Advertiser, Lafayette, LA). She toured the US and Canada with Lisa Markley and Beth Cahill, as The Malvinas. Together the trio released three acclaimed CDs, I’m not like this (2002), Love, Hope + Transportation (2004), and God Bless the Grass (2017) In 2006, two of her songs, “Somewhere Off the Foot of This Mountain” and “St. Anthony,” were published in the venerable folk song magazine, Sing Out! In 2015, Gina was selected as one of 24 Emerging Artists at the Falcon Ridge Folk Festival. She was then voted one of three Most Wanted to return to Falcon Ridge in 2016. Of late, Gina has released two new full-length CDs and an EP; the new recordings feature her prodigious talents on fiddle. She returns to Cajun music with Mid-City Aces, as part of a trio with 18-year-old Cameron Dupuy on accordion and his father, Michael Dupuy, on guitar. Her 2015 release, The Fiddle EP, is a precursor to the new CD of fiddle tunes, Copper Rooster and Other Tunes and Tales, released in the summer of 2016 on Waterbug Records.